He has spent most of his career as a teacher, largely at UCLA, where for nearly 30 years he taught courses in instructional methods for prospective teachers and graduate-level courses in evaluation and measurement. At UCLA he won several distinguished teaching awards, and in January 2000, he was recognized by UCLA Today as one of UCLA's top 20 professors of the 20th century. In 1968, Popham established IOX Assessment Associates, a research and development group that created statewide student achievement tests for a dozen states. In 2002, the National Council on Measurement in Education presented him with its Award for Career Contributions to Educational Measurement. He is a former president of the American Educational Research Association (AERA) and the founding editor of Educational Evaluation and Policy Analysis, an AERA quarterly journal. In 2006, he was awarded a Certificate of Recognition by the National Association of Test Directors. In October 2009, he was appointed by Secretary of Education Arne Duncan to the National Assessment Governing Board, the policy-setting group for the National Assesment of Educational Progress. Popham is the author of more than 30 books, 200 journal articles, 50 research reports, and nearly 200 papers presented before research societies. His most recent books are Classroom Assessment: What Teachers Need to Know, 7th ed. (2014), Mastering Assessment (2011), and Assessment for Educational Leaders (2006), Pearson; Evaluating America's Teachers: Mission Possible? (2013), Everything School Leaders Need to Know about Assessment (2010), and The ABCs of Educational Testing: Demystifying the Tools That Shape Our Schools (2016), Corwin; The Truth About Testing (2001), Test Better, Teach Better (2003), Transformative Assessment (2008), Instruction that Measures Up (2009), and Transformative Assessment in Action (2011), ASCD; America's "Failing" Schools (2005), Routledge; and Unlearned Lessons (2009), Harvard Education Press. 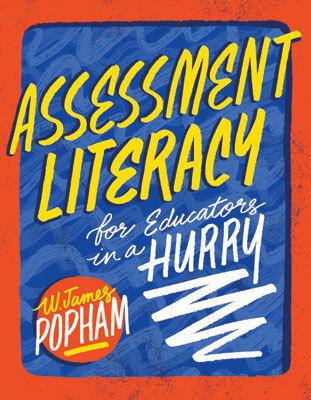 Renowned assessment expert W. James Popham condenses the complexities of educational testing to six practical and action-oriented understandings that just might save our schools.